I would like to thank Gallant for his perfect timing for this gift to the university. 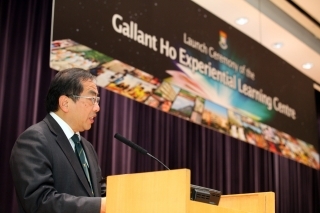 The launch of the “Gallant Ho Experiential Learning Centre” could not have come at a better time. One hundred years ago, HKU admitted its first batch of students. Today, as we prepare for the 4-year curriculum, it is a critical moment in curriculum reform at HKU. As Professor Amy Tsui said, Experiential Learning is a distinct and proud feature of HKU student life. It will open a whole new world for the young students, as some of our students have just demonstrated. Ladies and gentlemen, Gallant is our distinguished alumnus from the Faculty of Arts. He is our Honorary University Fellow. He is also a global citizen. 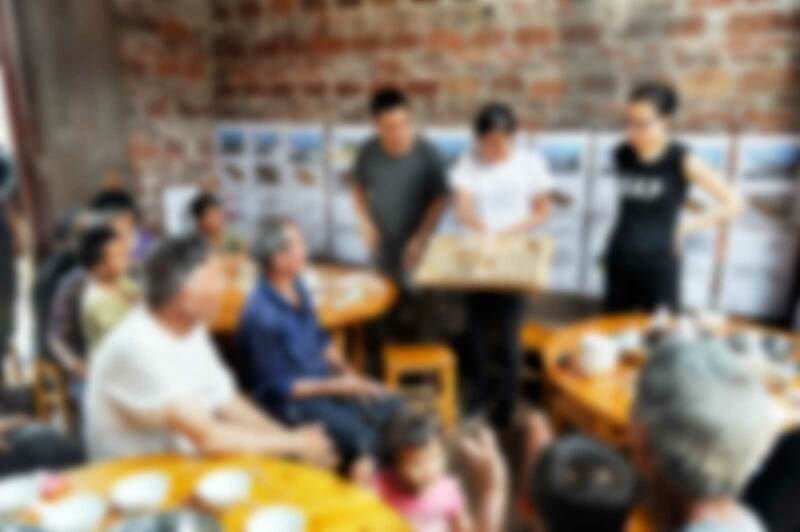 He has won many awards, in Hong Kong, in the Mainland and in other communities that he has worked and lived in. Last year he received the “President’s Volunteer Service Award” from President Obama. This is for his devotion to helping others through poverty relief, education, and medical treatment. I quote, “Your volunteer service demonstrates the kind of commitment to your community that moves America a step closer to its great promise. Thank you for your devotion to service and for doing all you can to shape a better tomorrow for our Great Nation.” (Of course Obama was referring to the United States). Today, at HKU, Gallant is making a generous gift of 33.3 Million HK Dollars , to establish the Gallant Ho Experiential Learning Centre. It is his very commitment to education that led him to initiate a service-learning scheme on Family Values 3 years ago at HKU. Today, the launch of the Gallant Ho Experiential Learning Centre will be a further testimony to his vision and dedication. Students of HKU, remember this day. Maybe 20 or 30 years down the road, you would be able to follow the footsteps of Dr Ho, to give back and support the next generations of HKU students. Gallant and Rebecca, on this happy occasion, may I salute you again for your magnanimous gesture to benefit the generations of young people that come after you.